Summer sessions are held at The Kubert School during the last week of June and all of July and August. Four week programs are broken down by week. 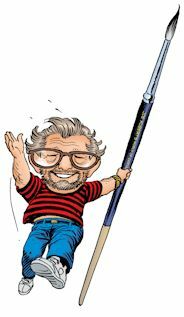 Adult Summer Sessions: Acquire the secrets of Cartooning from Professional Artists with our Summer sessions. Description: Adult cartooning sessions, beginners and experienced artists are welcome! Housing is available to summer students at our Clinton Street Dorm in Dover, N.J., ages 18 and older. It is available weekly, $225 per week, or monthly, $750 per month. Please call the school at 973-361-1327 for additional information or register below.